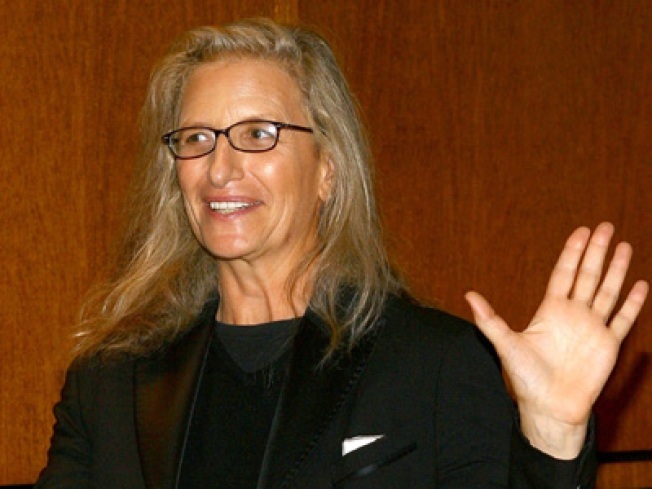 Photographer Annie Leibovitz talks about her new book at the 92nd Street Y tonight. SHUTTERBUGGED: Annie Leibovitz talks about her new book Annie Leibovitz at Work: The Making of a Photograph at the 92nd Street Y, at which time we're sure there'll be no questions about her sexiful noodie Hannah Montana pics. Ahem. 8PM. WARHOL OF FAME: Born too late to partake of the groovy parties at Andy Warhol's Factory? Promoters Kiss and Tell are recreating the legendary scene at Williamsburg's Rose Bar for the White Light / White Heat event -- and they expect you to dress like your "favorite 60s pop icon, mod, rocker, mocker, beatnik, or Warhol superstar," so it's time to dust off your white patent leather go-go boots. 8PM. PERFECTLY FRANK: Michael Feinstein, his blindingly white teeth, and a 17-piece band bring you The Sinatra Holiday Project, in which the cabaret king takes on seasonal chestnuts made famous by Frank. It all goes down at -- where else? -- Feinstein's at Loews Regency, 8:30PM. GOT MILK? : Why see the unanimously lauded Harvey Milk biopic at any old theater when you can catch it at MoMA tonight and laud director Gus Van Sant in person afterwards? 7PM.